I spent some time on Monday looking through my UFOs to make a new list for this year. I actually didn’t find quite as many as I expected to! Some of these will be familiar :). 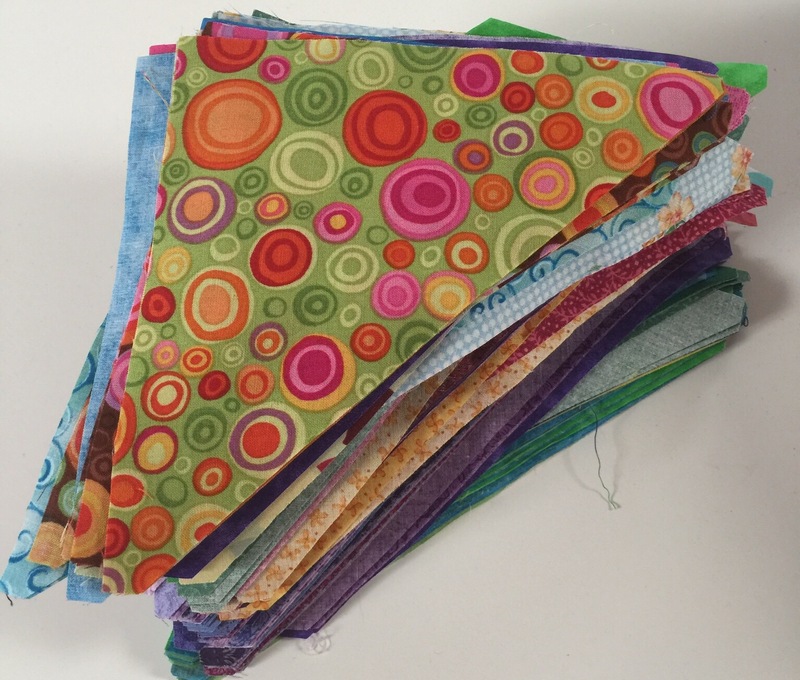 I cut these triangles ages ago when cleaning out a bin of bright fabrics. 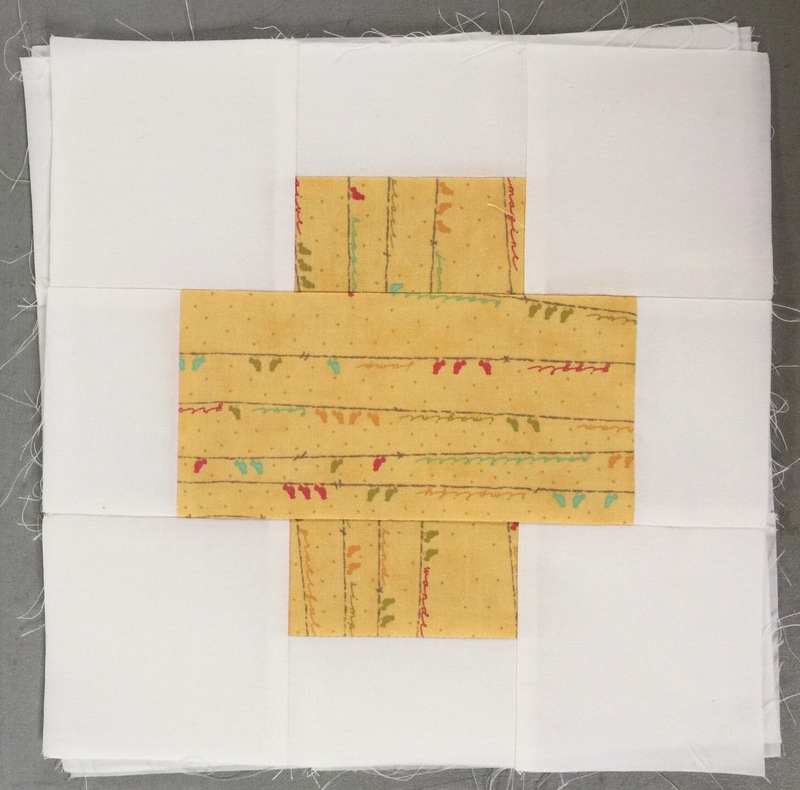 These 6 inch HSTs will be made into Quilts Beyond Borders. 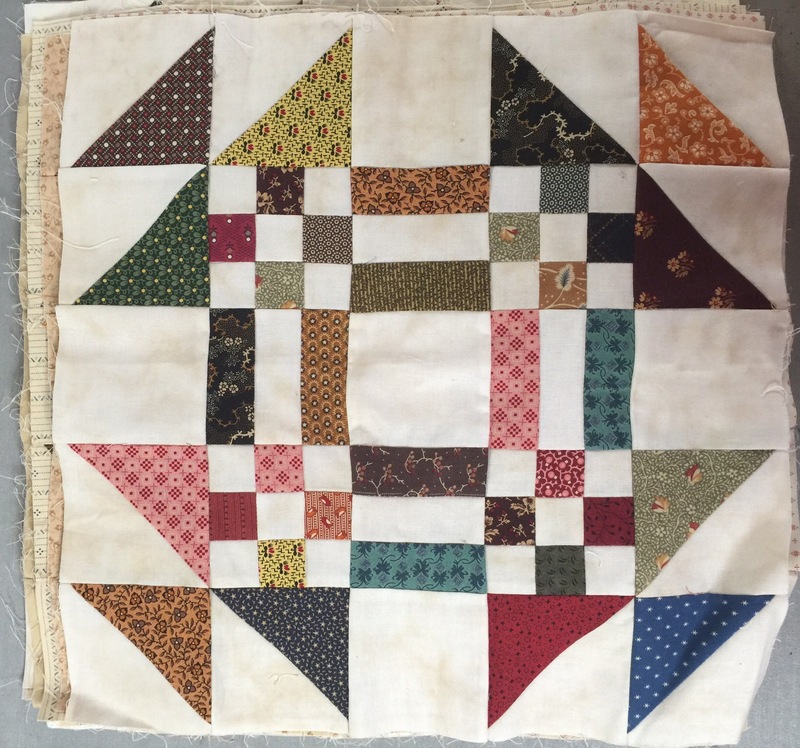 I did make one quilt from them and it turned out so cute! Time to finish the rest of these. 2. These blocks were from a guild exchange last year. There are 15 of these 15 inch blocks. I want to make one more so I can set them 4 x 4. 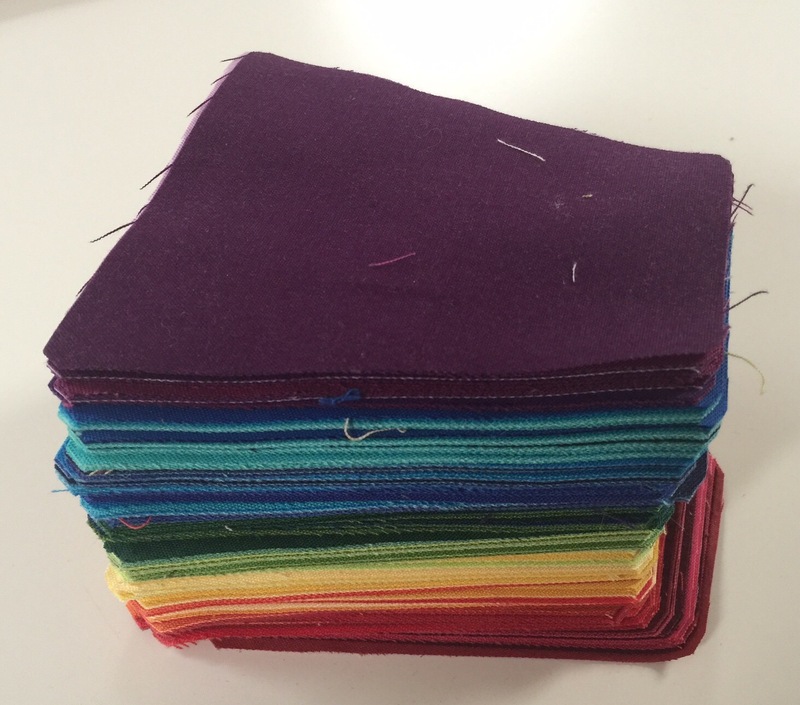 With sashing, this could be a bed sized quilt. 3. 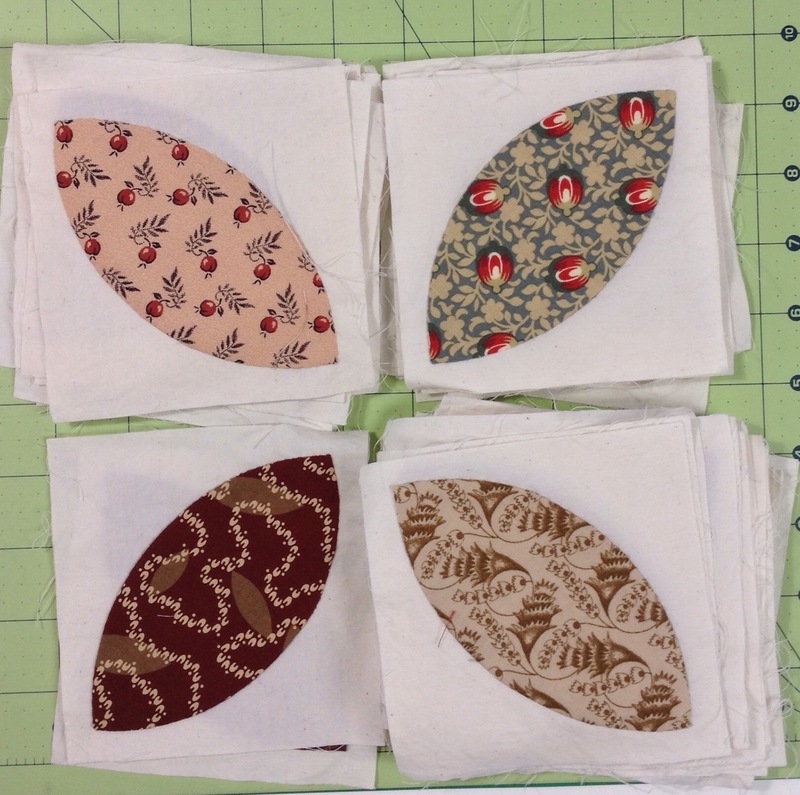 These 4 orphan Noteworthy blocks will be made into a baby quilt with lots of negative space for quilting. 4. More guild exchange blocks. 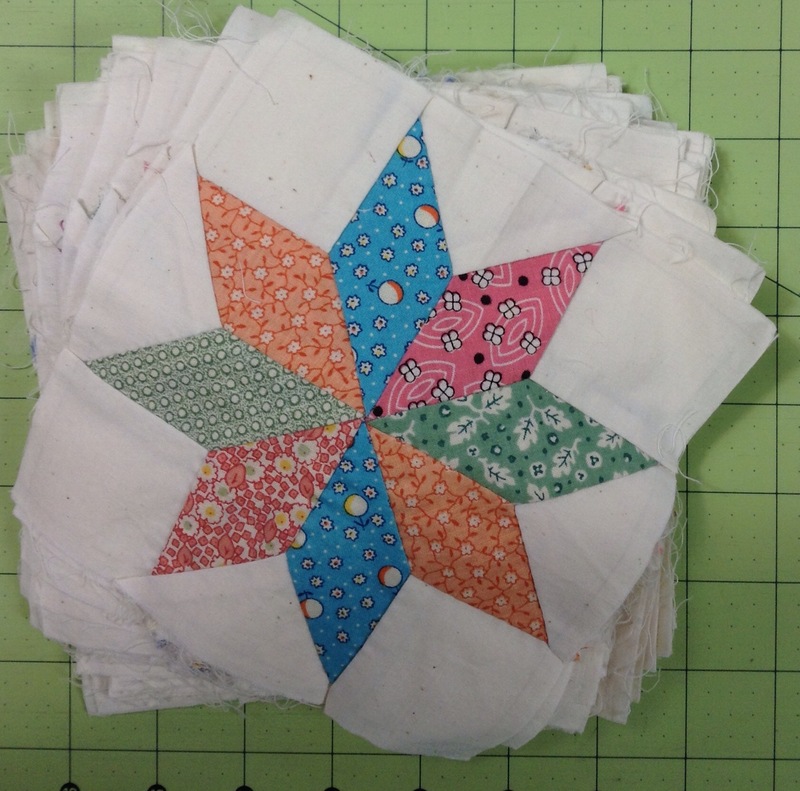 These are 12 inch blocks and again, I have 15 so I might make another. 5. More guild exchange blocks. 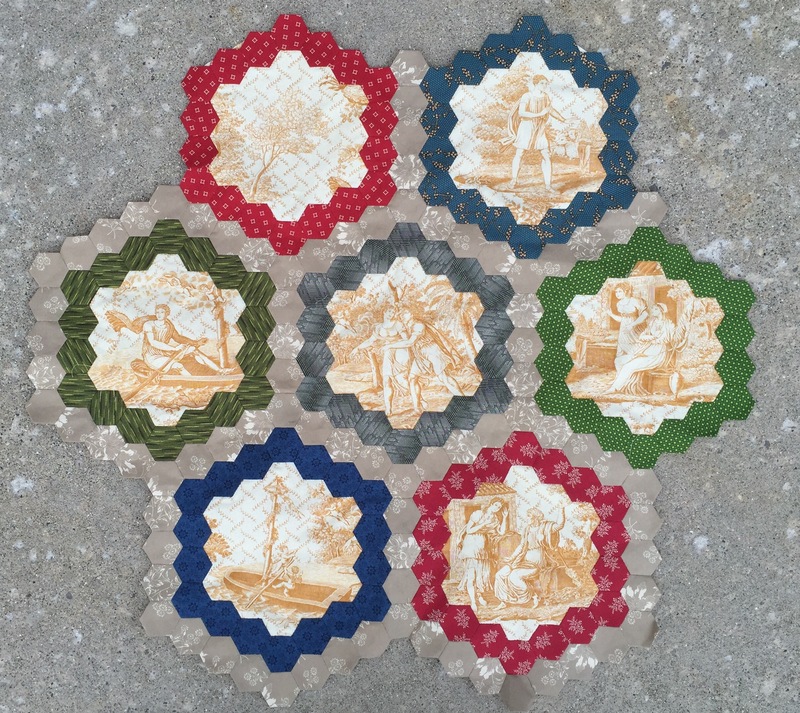 These are destined to become a Quilt of Valor. 6. This isn’t quite a UFO. 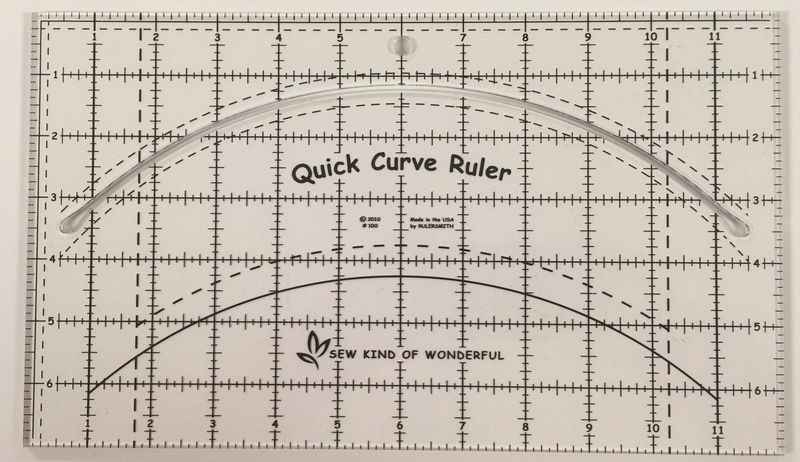 I bought this ruler and intended to try it out on the two layer cakes shown below. They are both Heather Baily lines and they look great together. I have been intending to do this for so long that it feels like a UFO! 7. I cut these tumblers in November. 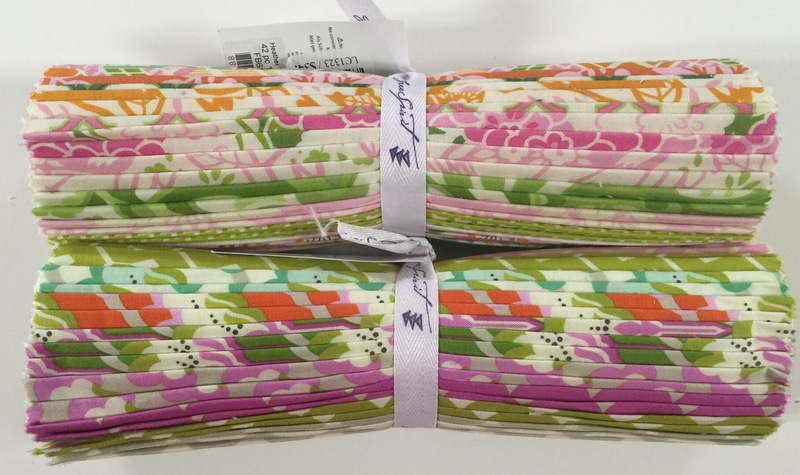 They are so pretty stacked up that I haven’t been motivated to put them together! How silly is that? 8. As if I don’t have enough UFOs of my own, I collect vintage UFOs! I love this background green fabric but the seam allowances are so very skimpy that I wouldn’t spend the time putting them together as is. My plan is to use these to make smaller shoo fly blocks. 9. Now we are looking at carryover projects from last year. 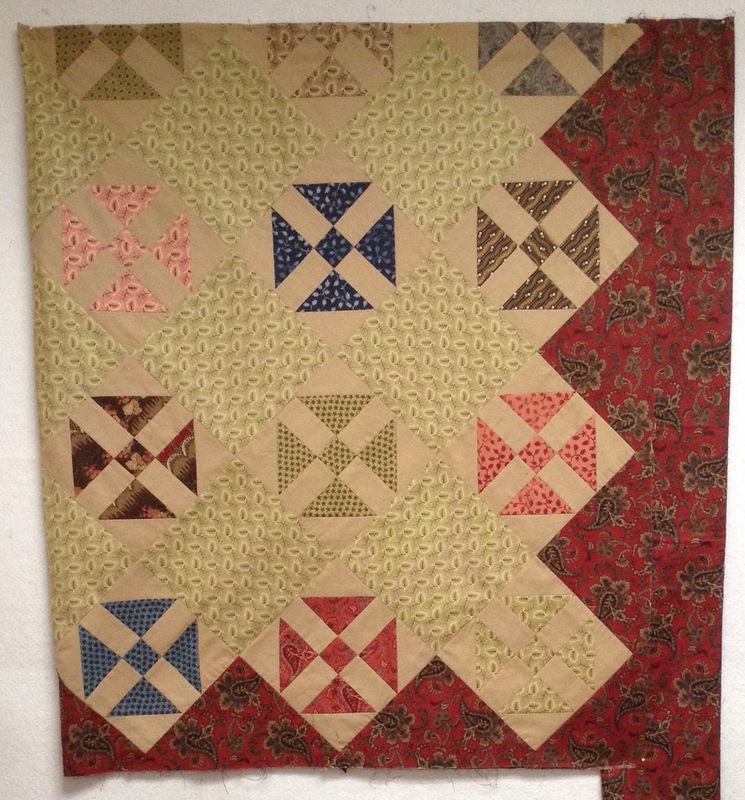 I still haven’t quilted this Metropolitan Fair top but it does have borders added since this pic was taken. 10. 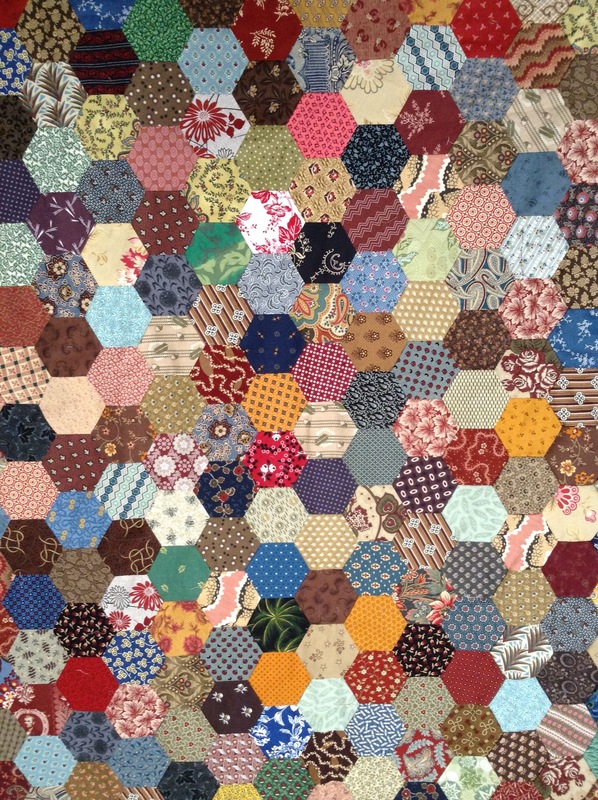 I’m still working on this hexie top. I recently cut a few more pieces. 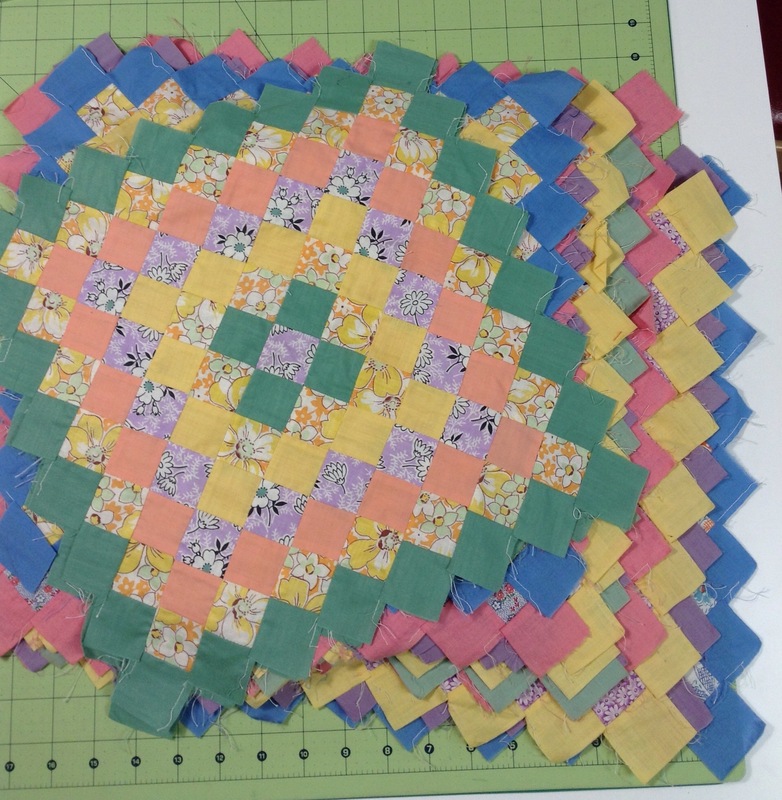 I do know how I want to quilt this so that is motivating me to get this done. 11. This is moving up to the top of the list. I need a full day to get a good start on it. It isn’t a project I want to do a little at a time. 12. I think I know where I want to go with these stars and have setting fabric set aside. So there is that teeny bit of progress since last year! LOL! 13. I love these blocks! I have had a hard time figuring out how to deal with their vastly varying sizes. Instead of doing something I will regret, I have been letting this simmer. 14. 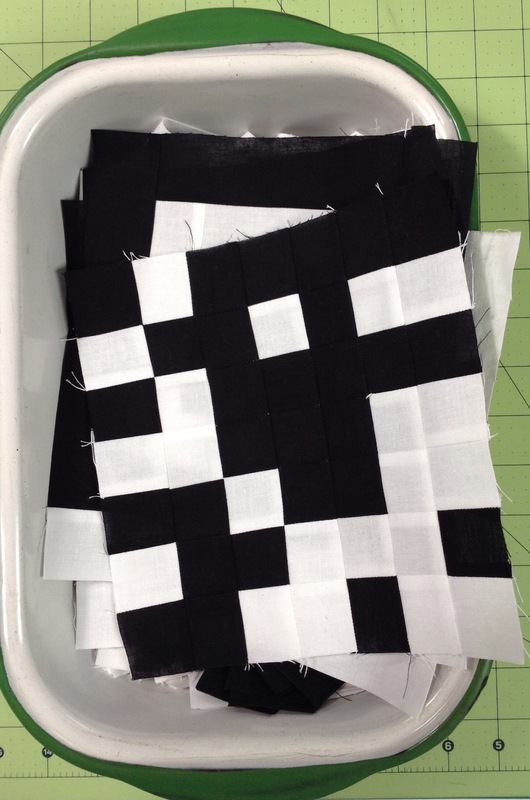 Sigh….I have so fallen out of love with these blocks. My design wall is not near big enough for this project. But I don’t need the whole wall to start playing so I need to get to it. 15. Yeah, these are still here too. One of these days! 16. 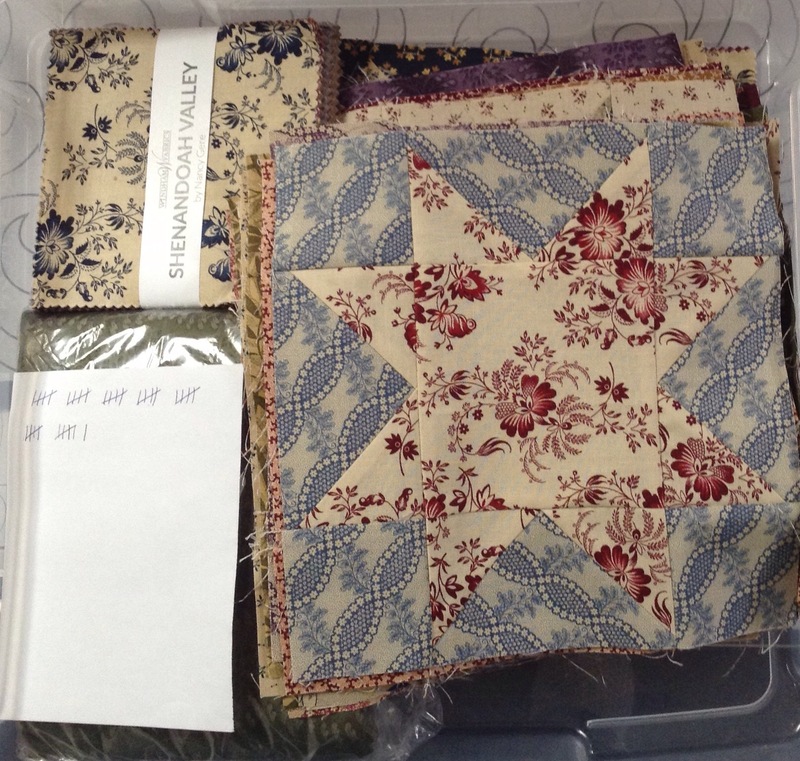 I nearly forgot my Brinton Hall quilt! It has progressed a lot since this picture. I will show an updated one soon. So that makes 9 new UFOs and 7 old ones. If I could get myself to finish one a month, I could really whittle this down! This entry was posted in UFOs, Uncategorized. Bookmark the permalink. That’s quite the list. I love the fabric in photo #1. Good luck. Wow! It looks like you’re going to have a busy year! Enjoy! I have some UFO’s too ! We need 4 arms and hands to finish them ! Your UFOs (old and new) are really lovely. I wish you a very Happy New Year with plenty of time to enjoy knocking off your UFOs and more. 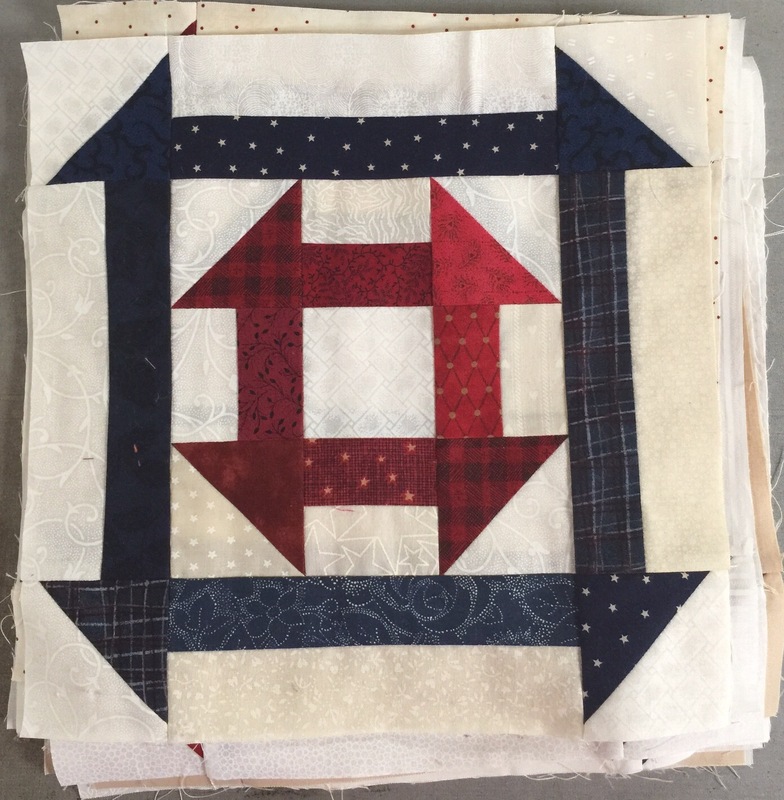 Love the preview of completed projects you’ll be sharing with us. 🙂 Especially interested in #6 as I bought the same ruler on impulse and have the Urban Abacus pattern that uses it. http://sewkindofwonderful.blogspot.com/2011/10/urban-abacus.html Thinking this would make a nice QOV, so you may see it at some point. Thanks for sharing. RIght….I don’t have that many UFO’s (or do I and I”m afraid to really count??) LOL!! I love your variety and there’s a lot of fun to be had. Enjoy the journey. Thank you Katy for making my day! 🙂 I only have 4 UFO’s and now realize that’s not too many at all! LOL You have some wonderful projects to finish. I’m especially interested to see what you do with the blocks in #13. They are lovely. Last year was to be a year of finishes for me. 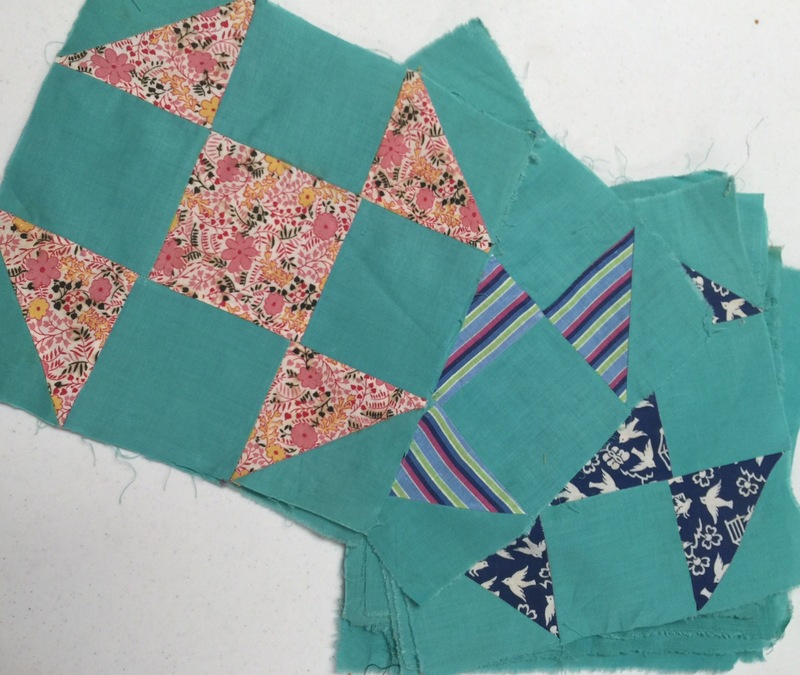 At the end of the year I had discovered that I had finished 4 quilts, but that only one of them was a UFO. The other three I had started in 2015. I need to approach UFO’s in a different way. This year I have assigned a project for each month. I am going to look at UFO’s in a new light. Instead of thinking of them as hangers on, I am going to think of them as a quick finish. Look at how much is already done with some of these projects. 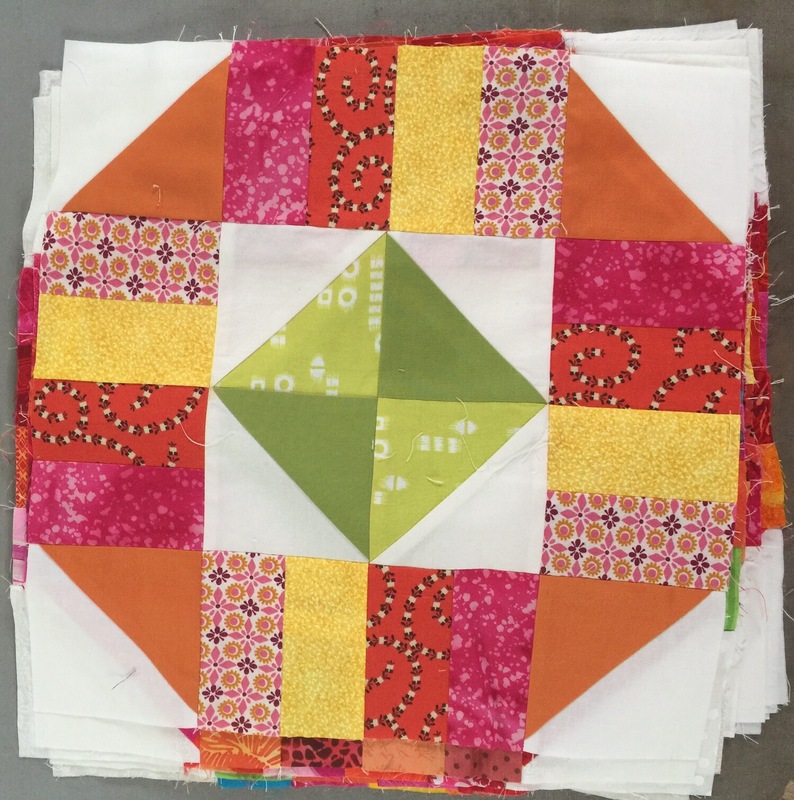 I could complete twice as many quilts as I did last year! Do you think I’ll be able to fool myself?